In the fall of 1995 while checking in an hotel in Alexandria, Virginia, I noticed the clerk giving me a odd look after I said, "Reservations for James W. Jackson". A bit later I understood the look; there in the lobby is a large plaque dedicated to James W. Jackson, the first Virginian killed when the Federal army invaded in 1861. A modern hotel is on the site where the incident happened in the original hotel. The Marshall House hotel at the corner of Pitt and King Alexandria, Virginia. 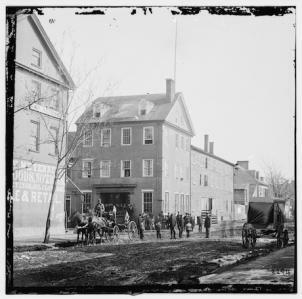 On May 24, 1861, the morning of the Federal invasion, Col. Elmer Ellsworth led a contingent of his "Fire Zouaves" to capture the telegraph office. On his way, Ellsworth spotted a Confederate flag defiantly waving from the rooftop of the Marshall House hotel. James W. Jackson, the hotel's proprietor and an ardent secessionist, raised the banner a month earlier during a pro-secession rally vowing that the flag would come down over his dead body. James Jackson, used a shotgun to kill Colonel Elmer Ellsworth as he descended the stairs of the hotel with the Confederate flag. One of Ellsworth's men, Cpl. 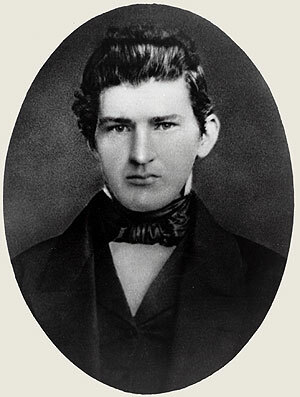 Francis Brownell, retaliated by fatally shooting the innkeeper. 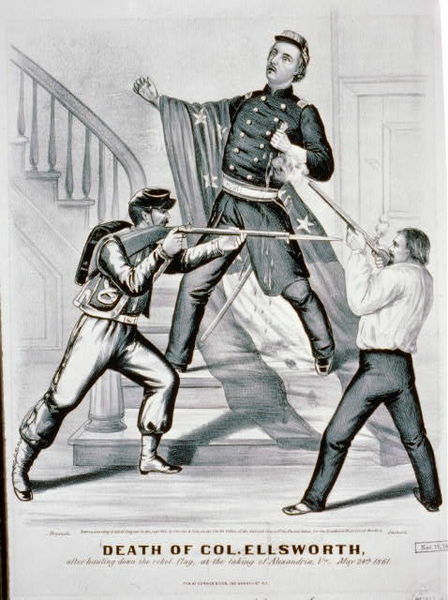 Ellsworth became famous in the north as the first Union officer to be killed in the war and Jackson become famous in the South, at least for a while, as the first patriot killed defending the flag of Virginia.